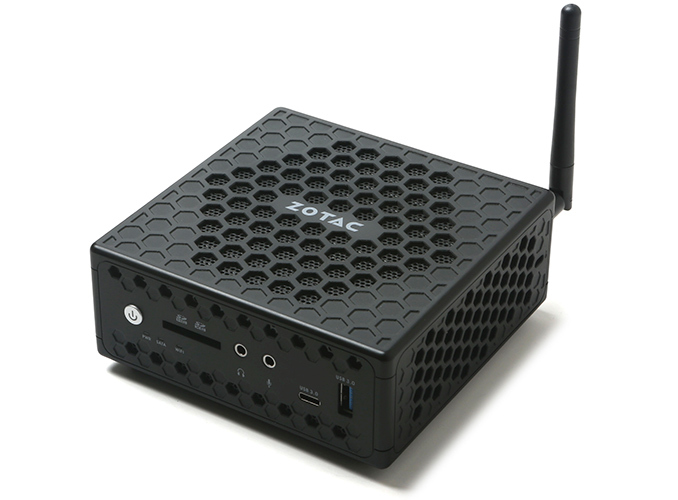 ZOTAC has introduced its new affordable miniature PCs based on Intel’s Gemini Lake platform. Designed for office and media streaming applications, the new ZBOX CI329 Nano are powered by a quad-core SoC, featuring 4Kp60-capable DisplayPort 1.2 and HDMI 2.0a outputs, and are equipped with two GbE ports. 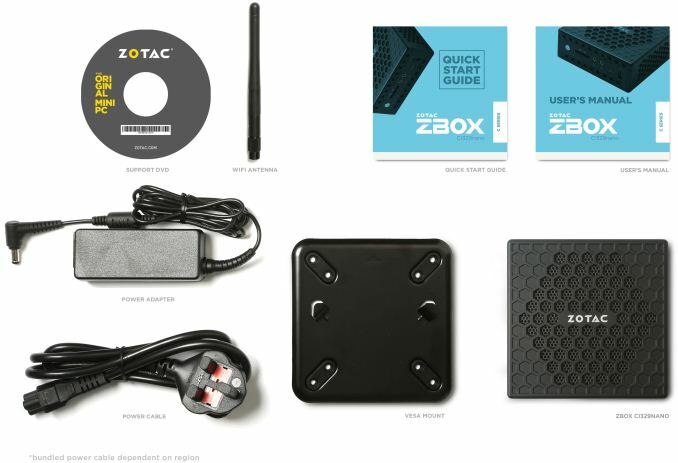 ZOTAC’s ZBOX CI329 Nano comes in a black enclosure with a rather distinctive look featuring the manufacturer’s renowned honeycomb openings that enable passive cooling of the system’s key component — the Celeron N4100 SoC (four cores, 1.1 – 2.4 GHz, 4 MB cache, UHD Graphics 600 with 12 EUs, 6.5 W). The chip supports H.264 and H.265 hardware decoding and the Clear Video HD tech, making it a viable choice for multimedia enthusiasts looking for a low-power system for streaming. The PC is outfitted with a DDR4 SO-DIMM slot supporting up to 8 GB modules as well as a 2.5-inch bay with a SATA connector for an HDD or an SSD. When it comes to connectivity, the ZBOX CI329 Nano comes with an 802.11ac Wi-Fi + Bluetooth 5 wireless module, two GbE controllers (particularly important for enterprises), three USB-A 3.0 ports, one USB-C 3.0 header, one USB-A 2.0 connector, one HDMI 2.0a output, a DisplayPort 1.4, a D-Sub port, an SD card reader, and two 3.5-mm audio connectors. ZOTAC will traditionally offer ZBOX CI329 Nano in three versions: the barebones flavor without memory and storage, the Plus SKU with factory installed 4 GB of DRAM and a 120 GB SSD, and the model with pre-installed Windows 10. ZOTAC did not announce pricing of the systems, but keeping in mind that we are dealing with an entry-level platform, MSRP of the ZBOX CI329 Nano should be consistent with the SoC positioning and remain on the same level as pricing of the previous-gen CI327 fanless PC. We enquired the company about recommended prices of the systems and will update the story once we hear back from ZOTAC. One would think they'd choose NVMe or at least SATA m.2 for storage for this form factor. They could easily fit two m.2 slots instead of one 2.5in sata. It would allow for more flexibility in storage options. I don't think you would see much of a difference between M.2 and a SSD via SATA using the Celeron N4100 with a base clock or 1.1GHz. And to use it as a HTPC you would have even less of a necessity for storage that fast. On these boards with any M.2, they only support x2 connection so you won't get the full throughput. This thing is mainly about low-cost, which is not (yet) consistent with NVMe.